Asteiron steel pipe offer ASTM A312 TP 316TI Stainless Steel Seamless Pipes high quality, favorable price! ASTM A312 TP 316TI Stainless Steel Seamless Pipes in large & small min mill quantities. Asteironsteelpipe has pride in providing a whole range of high-class, customizable and innovative ASTM A312 TP 316TI Stainless Steel Seamless Pipes using state-of-art technology. Our range includes ASTM A312 TP 316TI Stainless Steel Seamless Pipes, Stainless Steel Seamless pipes & Tubes, Carbon Steel Seamless Pipes & Tubes and Alloy Steel Seamless Pipes & Tubes. For more than five decades, asteiron steelpipe has been serving the needs of the oil and gas industries, automotive, shipbuilding, power plants. 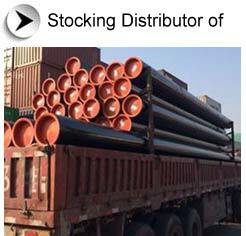 All the supply records for most of the severe environment of ASTM A312 TP 316TI Stainless Steel Seamless Pipes & pipe line indicate that Steel Tubes India is the leader in line pipe technologies. We have been supplying high quality ASTM A312 TP 316TI Stainless Steel Seamless Pipes with most advance technology and with most reliable quality. We place importance not just on managing material sales, but also on 'before' and 'after service'. Type 316Ti(UNS 31635) is a Titanium stabilized austenitic chromium-nickel stainless steel containing molybdenum. This addition increases corrosion resistance, improves resistance to pitting chloride ion solutions and provide increased strength at elevated temperatures. Properties are similar to those of type 316 except that 316Ti due to its Titanium addition can be used at elevated sensitisation temperatures.